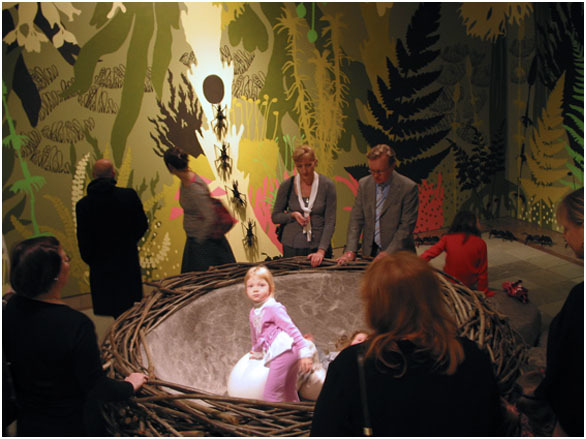 The Nest is an interactive installation, a part of the Age of the Animal -exhibition in the State Art Museum Ateneum. The nest is built from strong rough natural branches, is quite big (diameter 2m 60cm) and soft, warm and safe inside. Kids are welcome to climb into the nest. 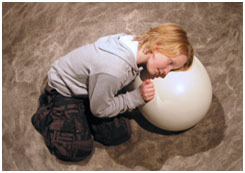 You can hear breathing, snoring or knocking from inside the egg. 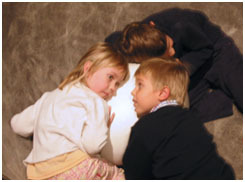 If you touch the egg, it starts talking to you telling stories and asking questions in three languages. 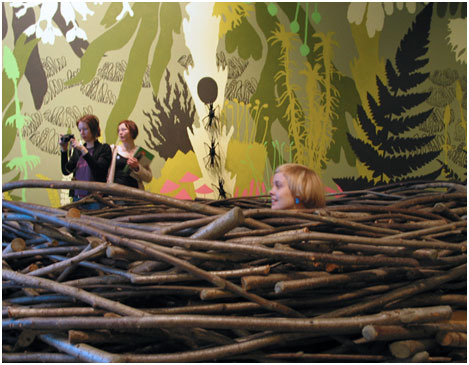 The nest is exhibited in the Fairy-tale Forest -room, where all other sculptures, objects, murals and picture books are produced by students in the University of Art and Design Helsinki. 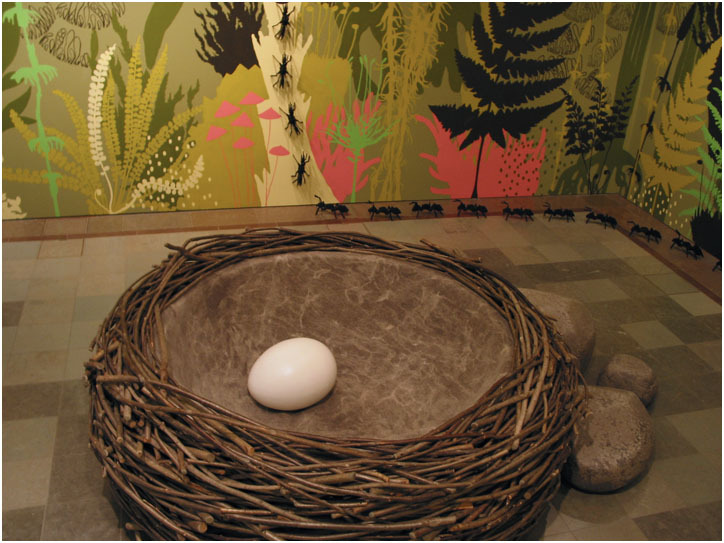 Murals and sculptures in the room support the scale of the nest. Tutors: Maria Laukka and Alexander Reichstein.